Phoenix, AZ (4/8/2014) – Arizona Off Road Promotions held a hare scramble event on Prescott National Forest land between Camp Verde, AZ and Cottonwood Arizona on April 5th. The race was the first of its kind on this land. The 6 mile course utilized a 50 inch wide trail system and it featured elevation changes, whoops, rock sections, washes, bowl turns and natural terrain jumps. 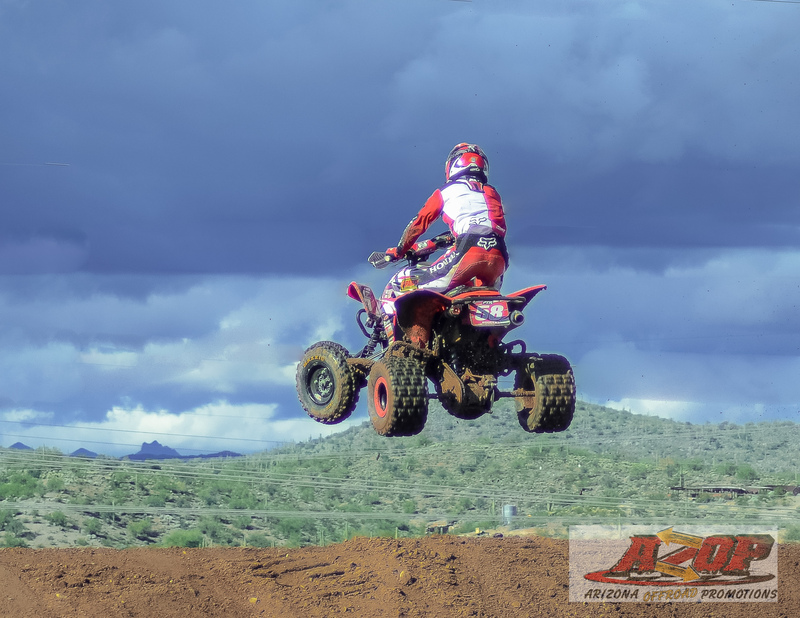 Some sections were so tight and technical it was referred to as the Southwest’s version of a GNCC course. Forest rangers were on hand to oversee the event and enjoy the festivities. 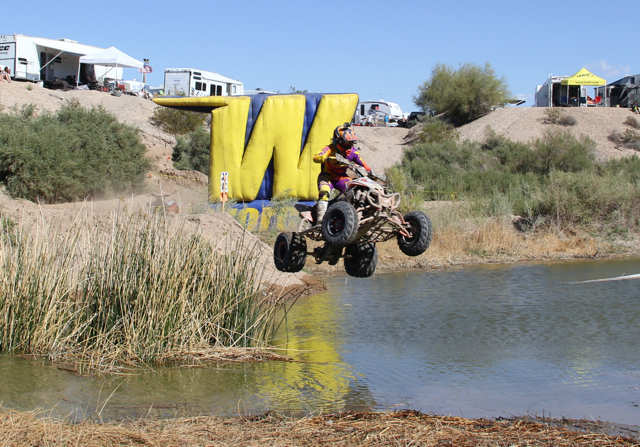 The entry fee of $65 for sportsmen for 2+ hours of racing ensured that everyone got a lot of bang for their buck. Nine Pee Wees and minis started the day’s event with a 30 minute race. 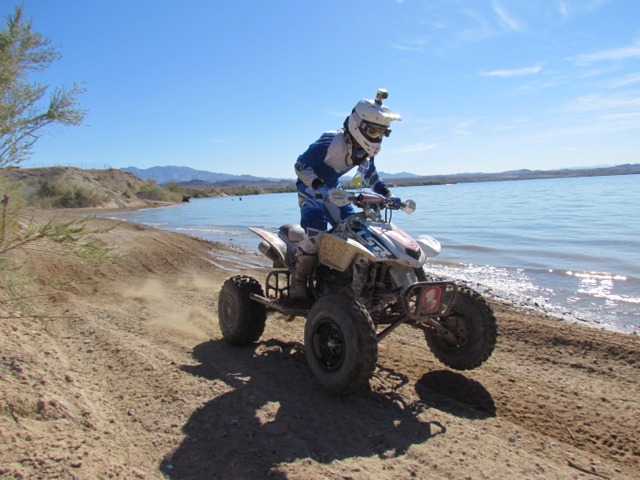 First through fifth place were separated by only 5 seconds with Gabe Hutchinson taking the overall win from the 80cc ATV class.